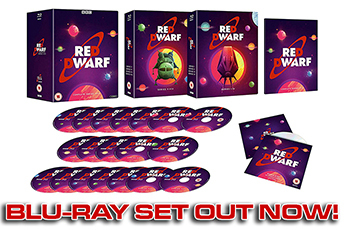 Red Dwarf XI goes before the cameras! If you're paraskevidekatriaphobic, then Friday the 13th is a date you'll want to avoid, as superstition dictates that it's an unlucky day. 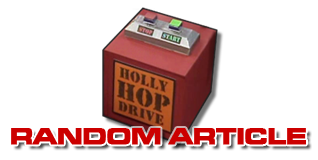 But if you're nihilirutilipumilophobic - which we've decided means you're afraid of a lack of Red Dwarf - then today, Friday 13th November 2015, is as good a date as you can get. 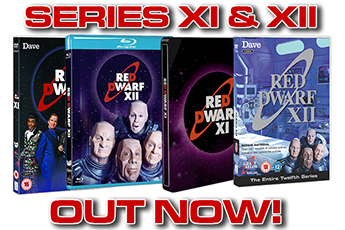 Because it's the day on which Series XI is filmed in front of a live audience for the first time. Yes, you read that correctly: previously rumoured, but now confirmed, Starbug is back. Of course, the exterior of the ship did make an appearance in Series X; but this time around, we've got sets, baby. And mention of a new science room aboard Red Dwarf is further evidence of just how much things are expanding for this new series. But what will they look like? Well, a couple of hundred lucky fans will be the first to find out later tonight, when the first live audience filming takes place. If you've managed to get a ticket to the recording, then please remember that in the interests of not spoiling things for everyone else who has to wait until broadcast, you're asked not to share photographs or information about the episodes on social media afterwards. The fans who saw Series X filmed stuck to this honour system fantastically - let's see if we can keep it going for the next twelve episodes, too! 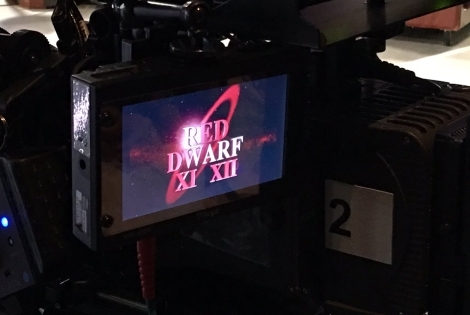 Shooting on Red Dwarf XI takes place at Pinewood Studios between now and Friday 18th December - and then production will resume for Red Dwarf XII in the new year. The episodes are a co-production between Grant Naylor Productions and Baby Cow Productions, will be written and directed by Doug Naylor, and are set to air on Dave in 2016 and 2017.